Seven-time world champion in aerobatics Svetlana Kapanina and a group called Rus (Russia) have "painted" a star in the sky with the help of smoke exhaust from the planes for the Russian premiere of the Captain Marvel movie, the aerobatic team said in a statement. 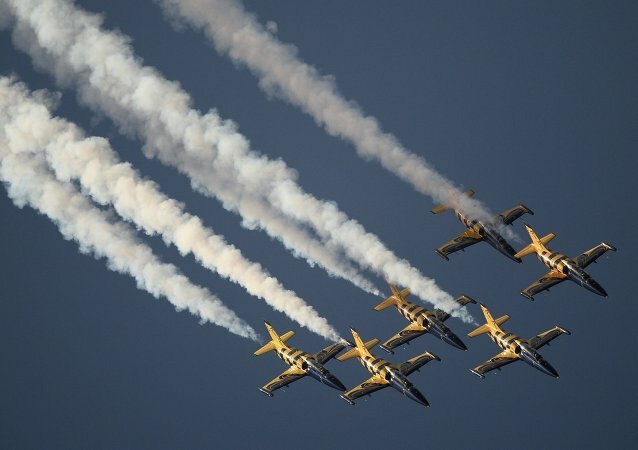 The Singapore Airshow makes a glorious return with stunning aerial acrobatics, aircraft displays, and an aerospace and defense exhibition featuring the latest technology in the industry. Watch a stunning aerobatics show at the 2017 ARMY forum in Russia. The Russian Knights, the Swifts and the Berkuts aerobatic teams will demonstrate their unparalleled mastery in the Russian town of Gelendzhik. Not a single aerobatics team in the world performs breathtaking flying maneuvers on combat aircraft as opposed to combat training warplanes except for Russia's world-famous Swifts and Russian Knights, former elite test pilot Vladlen Rusanov told the Vzglyad newspaper. Russian pilots displayed their mastery during the Aviadarts-2016 flight skills competition in Crimea featuring fighter jets, bombers, helicopters and other aircraft. The annual event has been held in Russia since 2013. One of the most spectacular parts of the show is when the top gun pilots fired missiles. A gorgeous aerobatics demonstration involving Russia's top-class teams decorated the sky in the Moscow Region on May 21. On May 6, 2016, the Russian aerobatic team Strizhi (Swifts), one of the most renowned flight stunt groups in the world, celebrates its 25th anniversary. The legendary Russian Knights (Russkiye Vityazi) aerobatics team - the world's unique flying heavy fighter aerobatics group - celebrates its 25th birthday on April 5. Russian pilots have long been hailed as the best in the world and Syrians, according to reports in social media, have recently been able to see Russian stunt-flying for themselves. 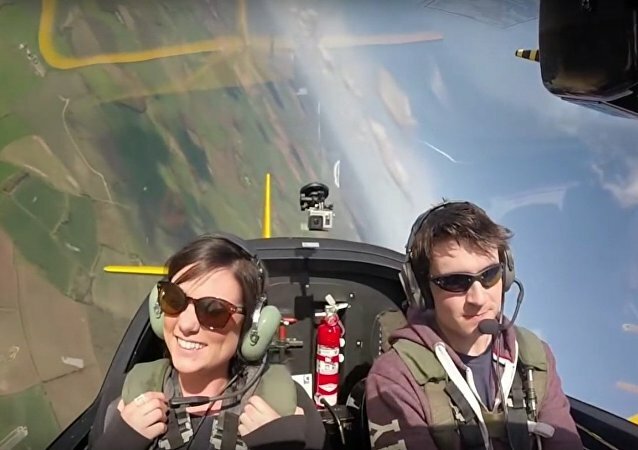 This is how aerobatic maneuvers look from inside the pilot's cockpit. 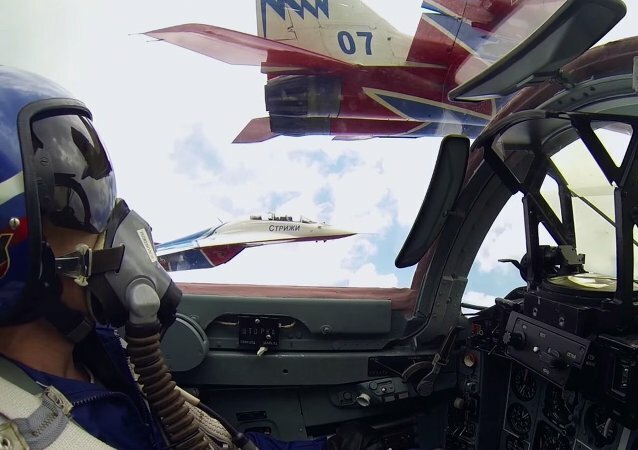 The Russian Knights squad is the only team in the world performing individual and group aerobatics on heavy fighters. 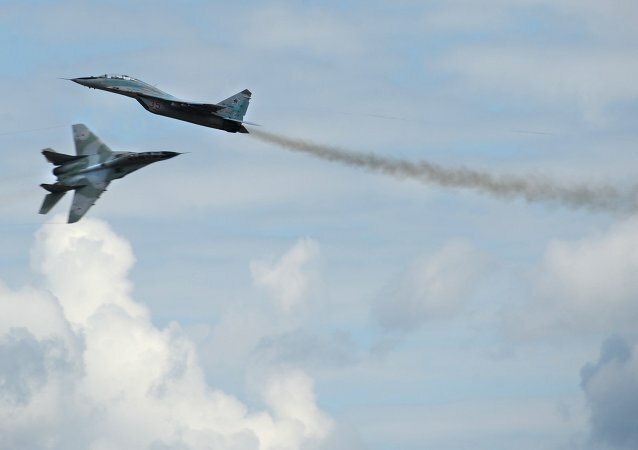 The MAKS-2015 International Air Show in the city of Zhukovsky in the Moscow Region enters its fifth day on August 29. 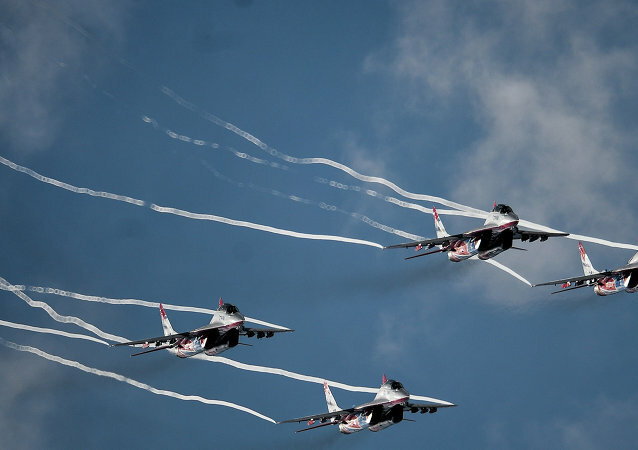 The MAKS-2015 International Air Show in the Moscow suburb of Zhukovsky enters its fourth day on August 28. The PAK FA is a single-seat, twin-engine jet fighter, and the first operational aircraft in Russian service to use stealth technology. 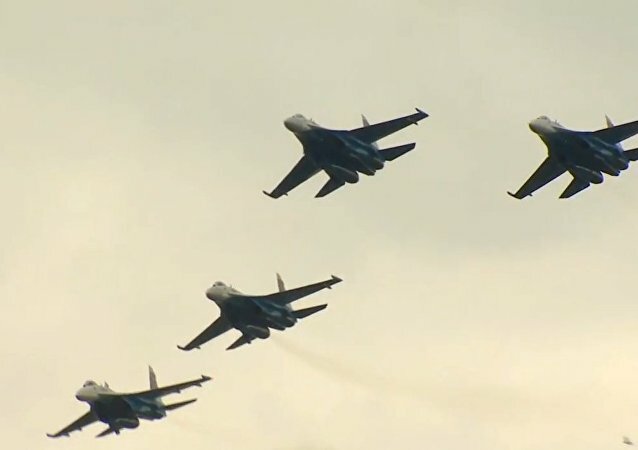 The best pilots of the Russian Air Force and other armies are showing their capabilities in low altitude piloting and aircraft combat capabilities, at the 2015 International Army Games aviation contest. A beautiful woman and a skilled pilot. Excellent aircraft flown by excellent pilots.